MormonInfo.org - FAQs - Why do you simply preach to LDS? You seem obsessed. A caring person would minister to as many other people as he or she could. I don't simply preach to LDS, but why should LDS be so upset that I love to preach to them more than other false religions anyway? They should be thankful that I'm warning them about the dangers of a false god who needs a wife before he could even become a god for us. That is a blasphemous belief, and people--not just LDS--need to hear that. LDS are just whining that somebody is trying to warn them about the road they are on in following a weak false god to hell. They need to repent and leave the Mormon cult, trusting the God of the Bible before the day of judgement. I am going out sharing what I know, and one of those things is that Joseph Smith was a false prophet and Mormonism is a false religion teaching a false god and false Jesus. I also know that Christianity is true, so I just don't share that Mormonism is wrong. I share it is wrong because Christianity is true. Our missionaries in Christianity talk to everyone, but we all have different areas of focus. 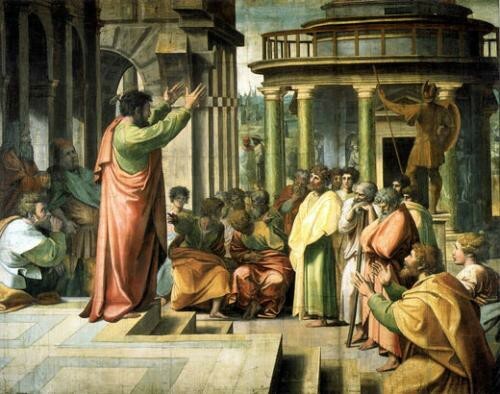 St. Paul, for example, was "an apostle to the Gentiles" (Romans 11:13). Those like my Evangelical brother in Serbia primarily deal with Serbian Orthodox and Catholics who look down on him as being in a "sect"--grouped in the same category as Mormons and Jehovah's Witnesses. Those in Asia deal primarily with the eastern monistic mindset of Hinduism or the ultimate nothingness of Buddhism. Those like myself from Utah primarily deal with Mormons. Even LDS missionaries primarily deal with the ideas indigenous to the culture they are working in. So why can't I have a specialty? It strikes me just as bizarre as telling a doctor who specializes in cancer treatment that if he really cared about people, then he should also treat people with colds. Having said that, I run a ministry called Courageous Christians United, and I deal with all sorts of false religions and philosophies. I am trained as a philosopher after all. I have to deal with bad ideas all the time. I also run JWinfo.org to deal with Jehovah's Witnesses and MuslimInfo.org for Muslims. I have preached outside Jehovah's Witnesses conventions and in front of their Brooklyn headquarters. I have also preached in many different public venues--including an outreach to Muslims (with police standing by just in case).